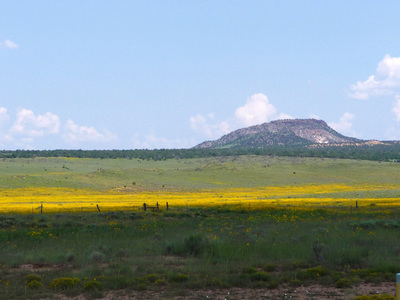 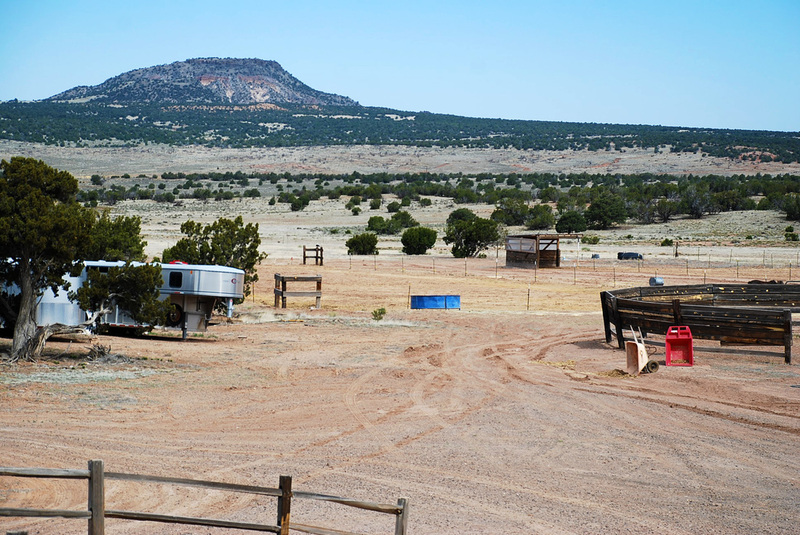 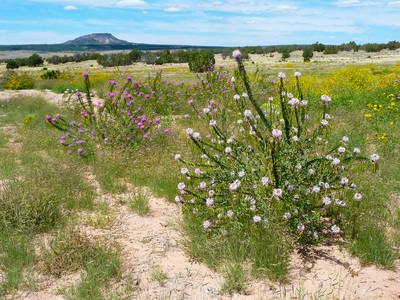 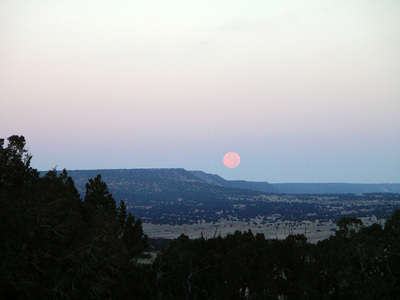 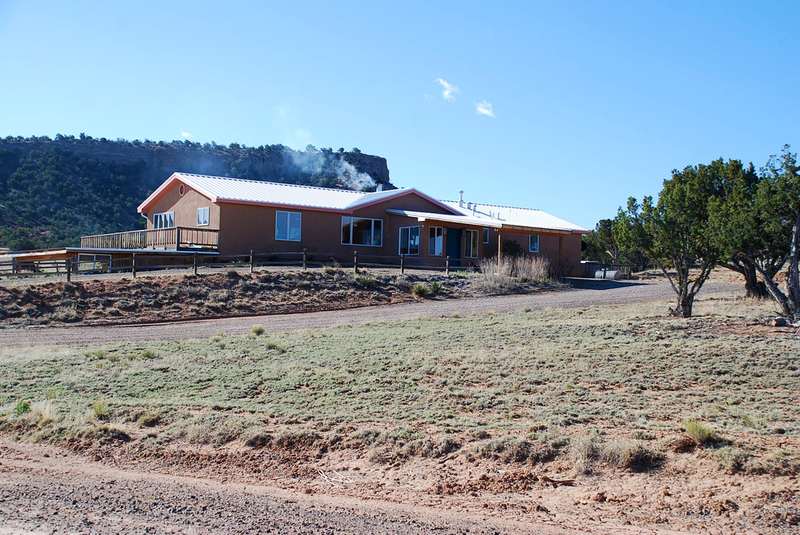 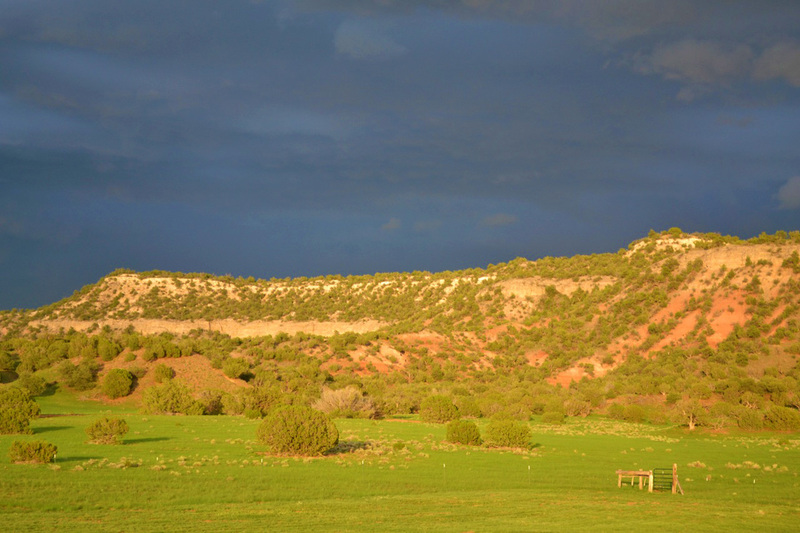 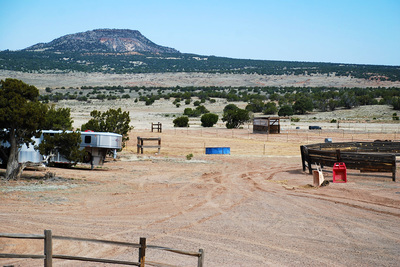 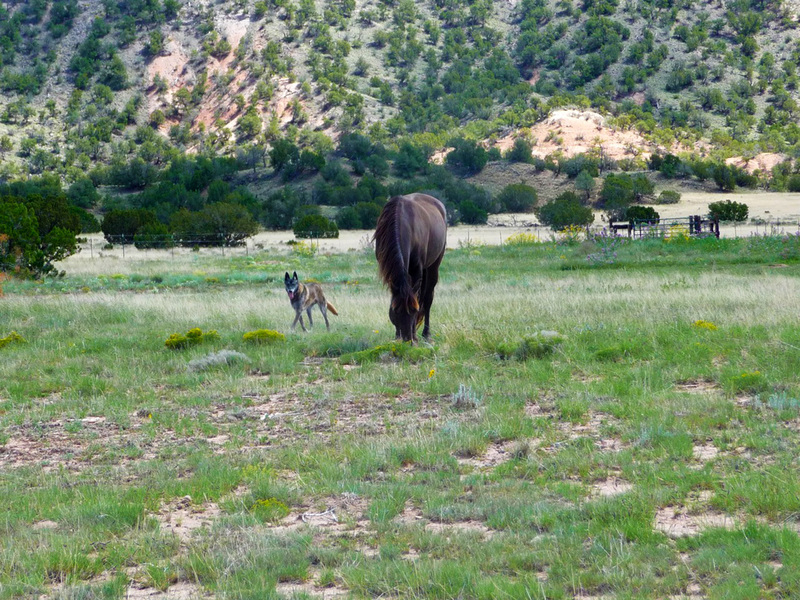 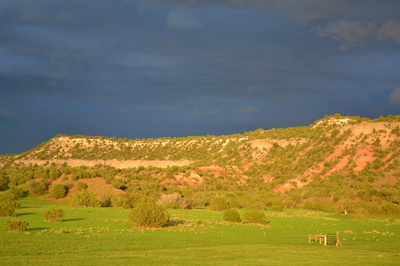 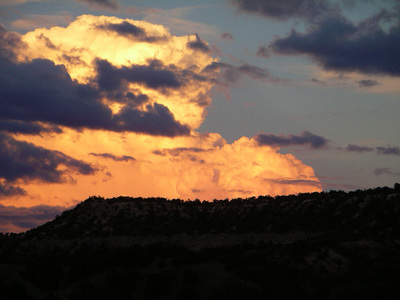 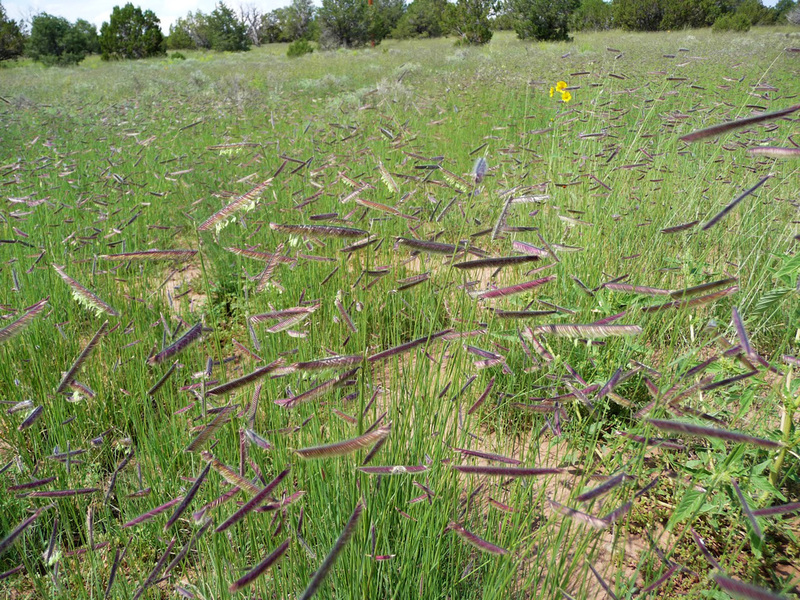 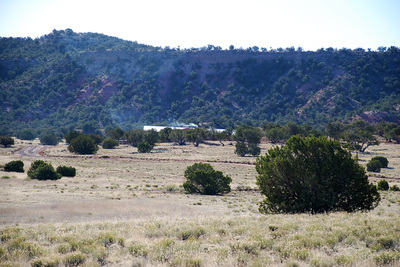 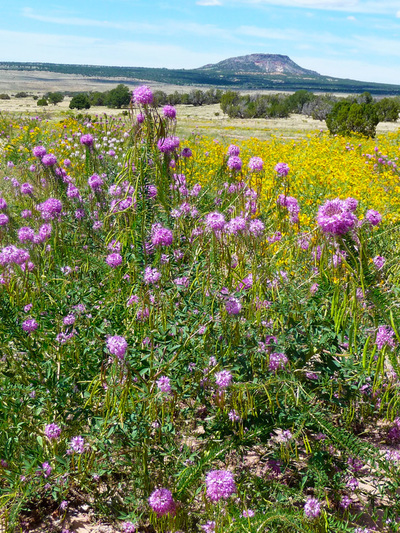 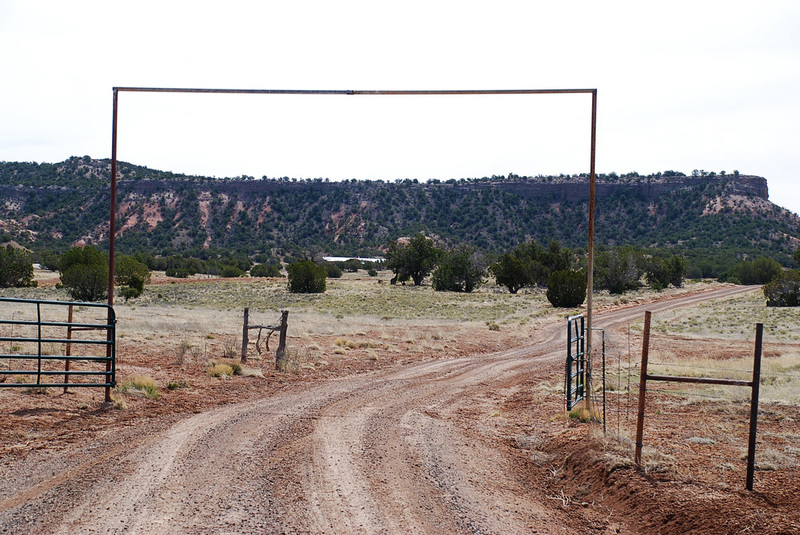 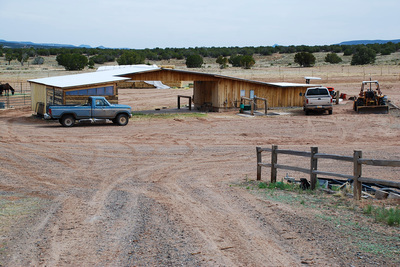 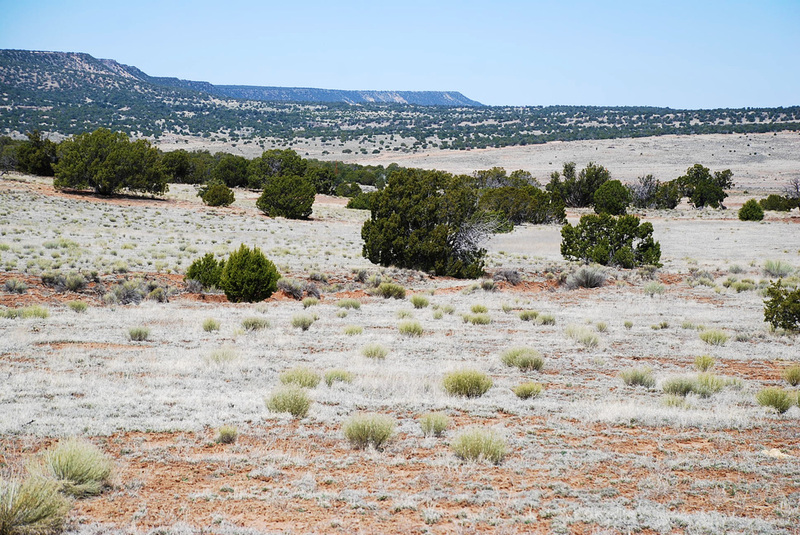 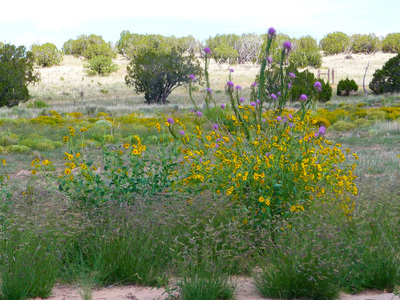 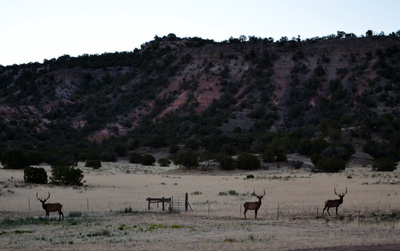 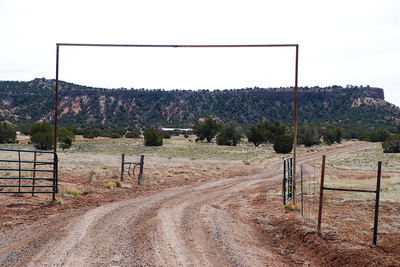 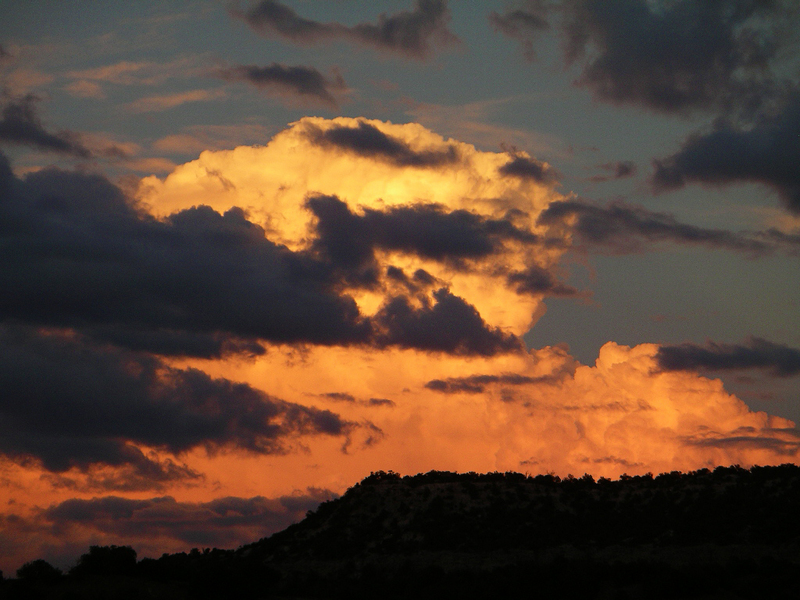 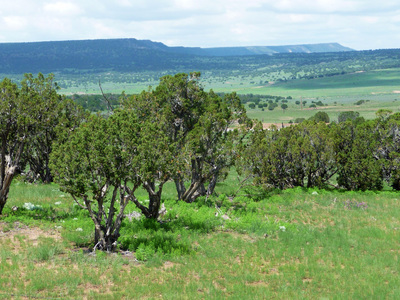 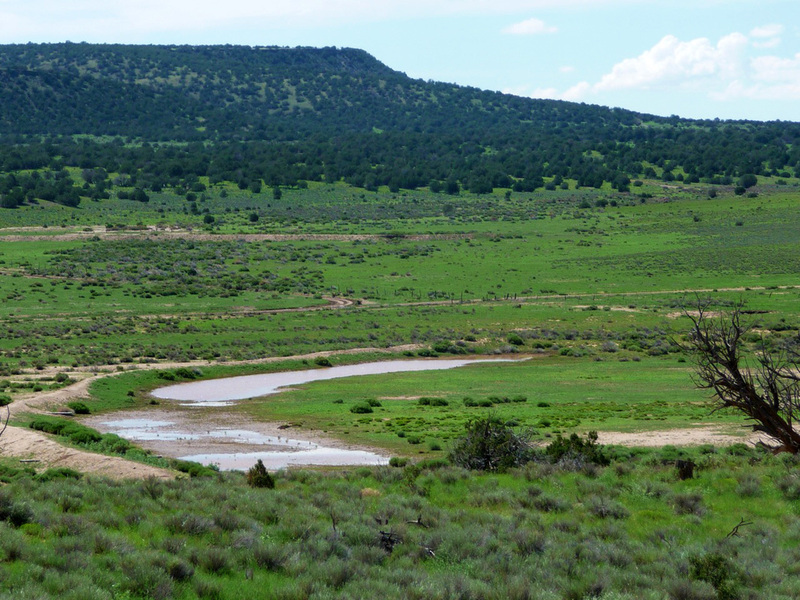 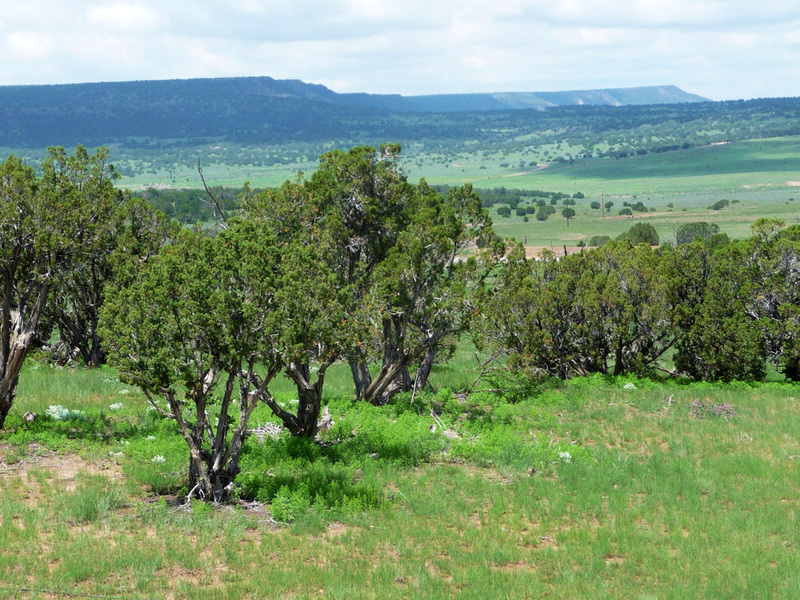 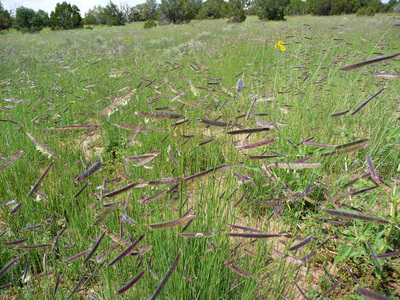 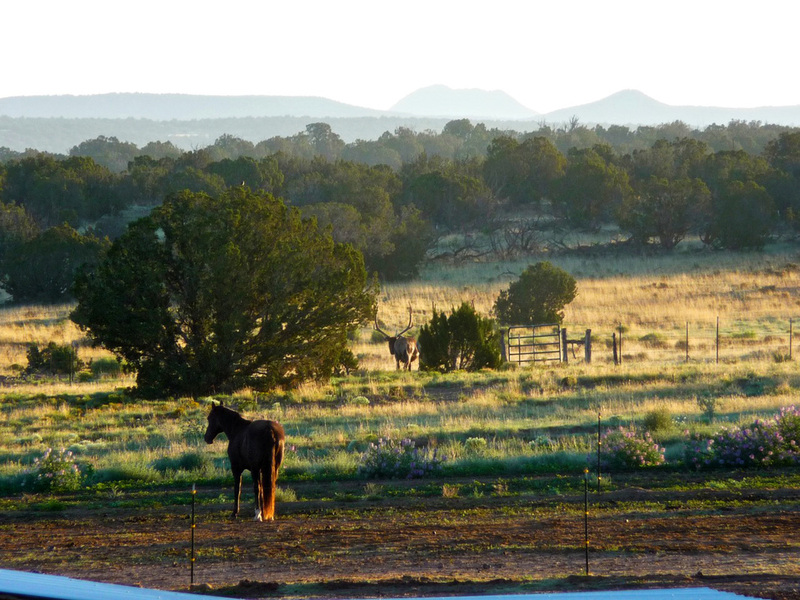 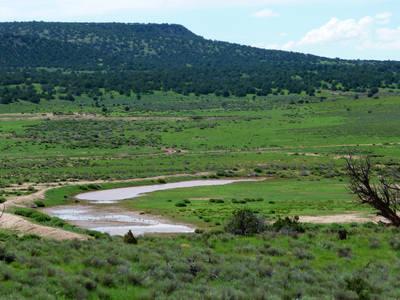 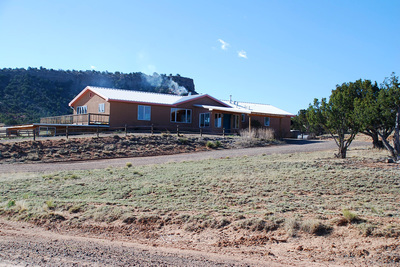 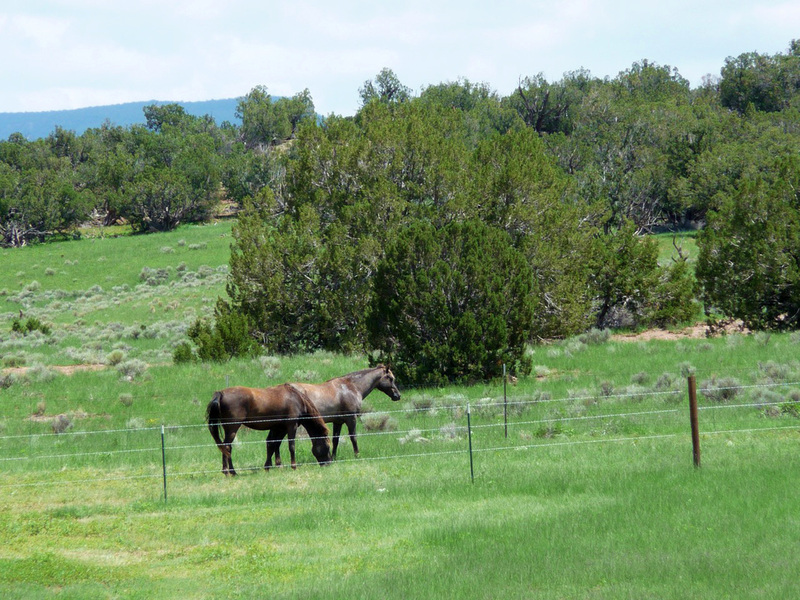 Quiet horse ranch, very private at end of a canyon valley and directly bordering a section of State land, and BLM on two sides. Newer 2-story house, 3 bedrooms, 3 baths, jetted tub, basement apartment has radiant floor heating everywhere, a shop, a sauna. 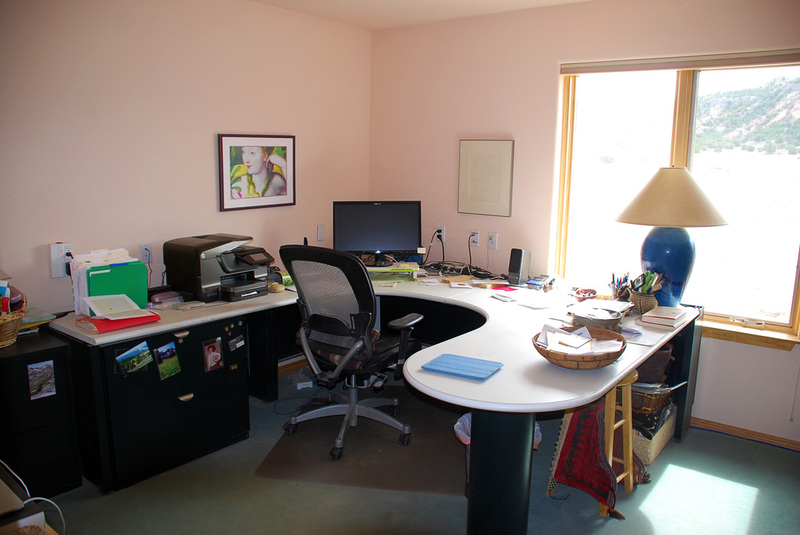 There is high speed internet suitable for online conferencing, Skype, and streaming video. Main floor has modern living, dining and kitchen are open and all in one. 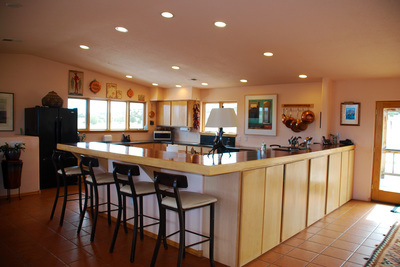 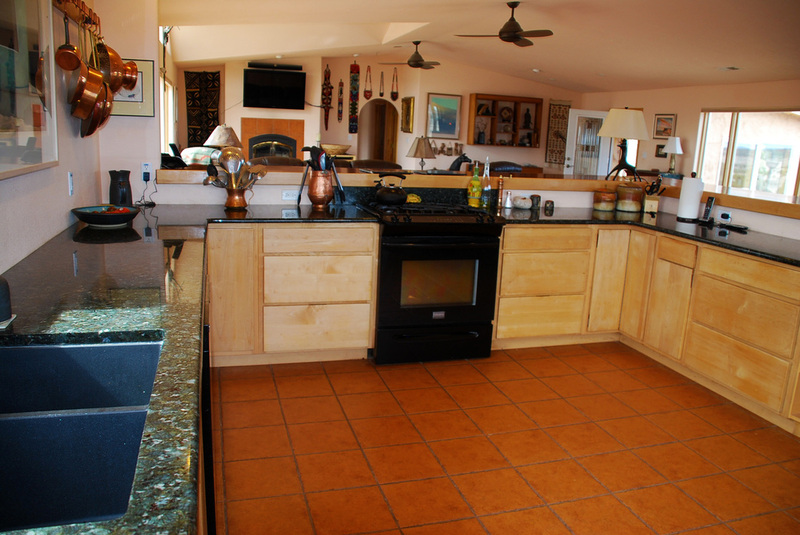 This is a cook's dream, a kitchen with 2 ovens, efficient dishwasher, garbage disposal, and 2 large deep sinks, marble counter tops, and a wrap-around breakfast bar made from African redwood trimmed in maple, and a refrigerator with water and ice. 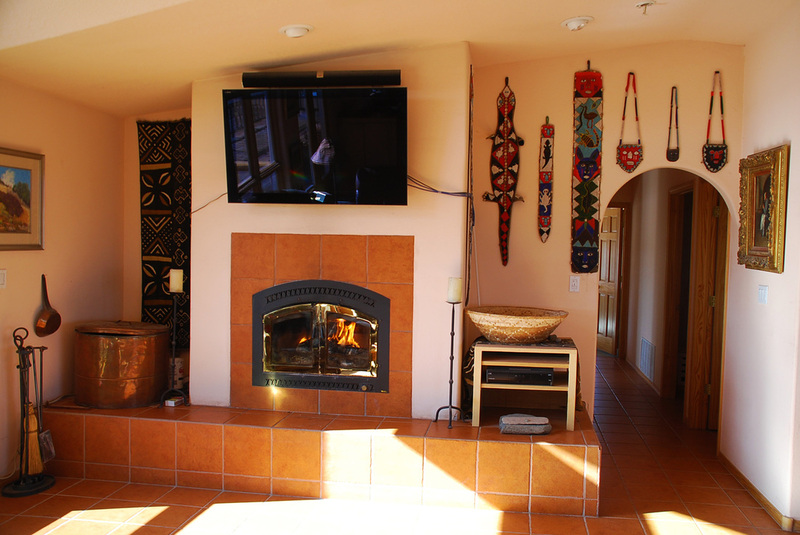 The living area features a gorgeous built-in wood burning fireplace and a large French door connects you to an outside deck which is partly covered and wraps around the house on the east on north sides. 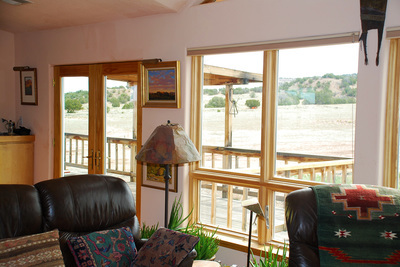 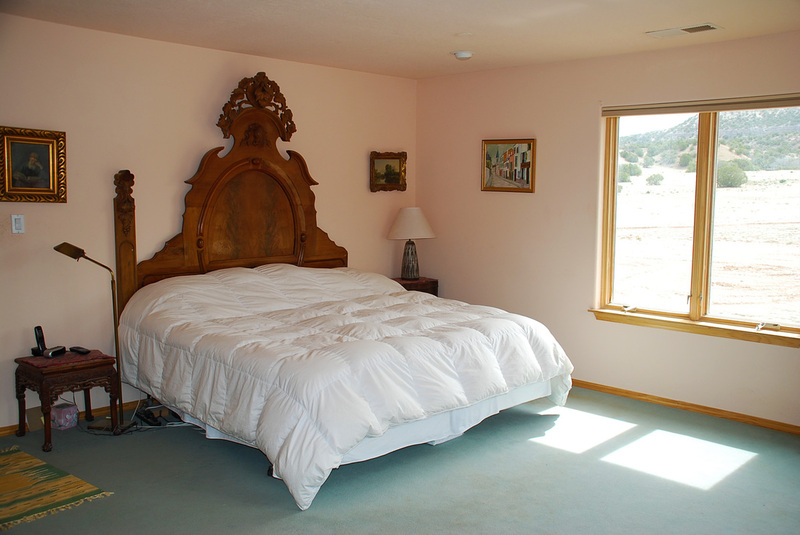 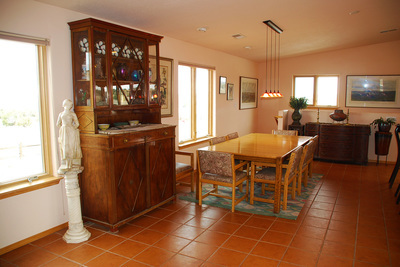 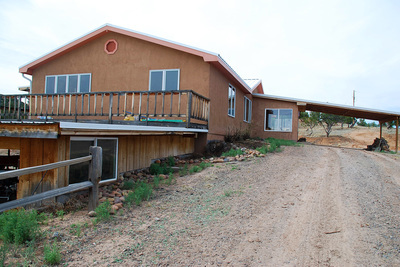 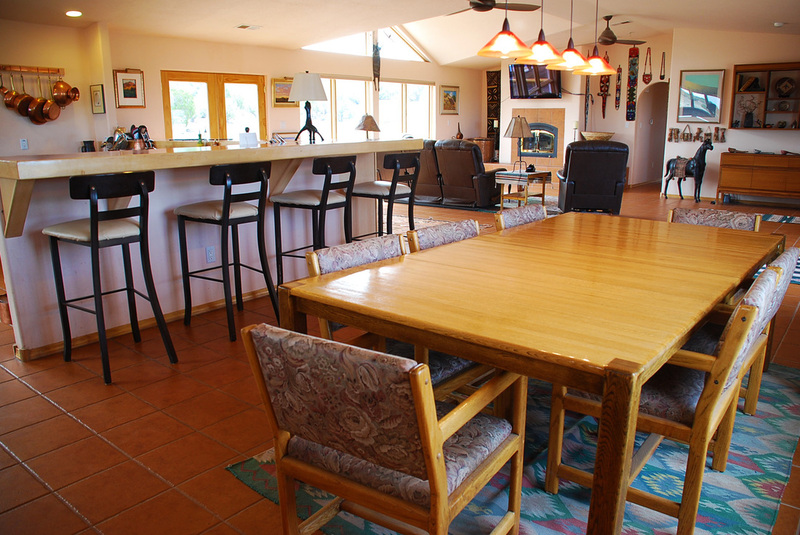 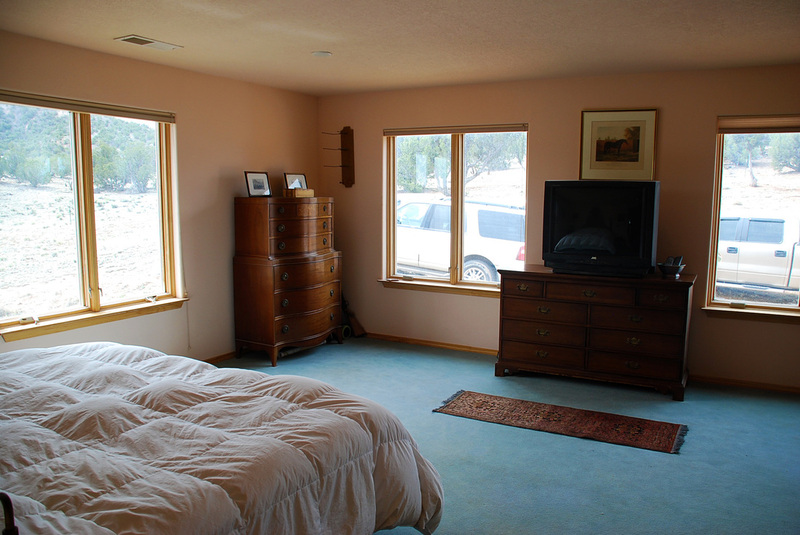 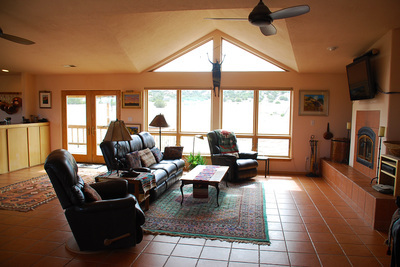 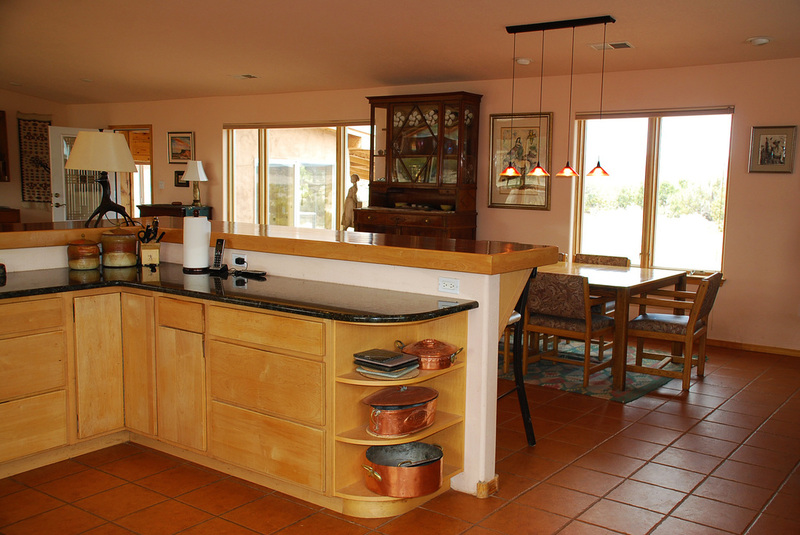 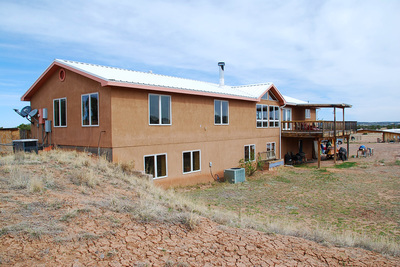 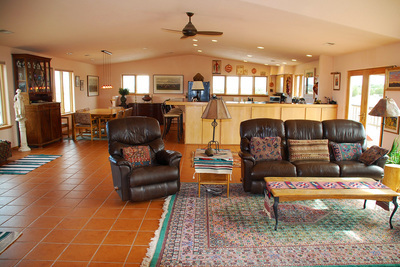 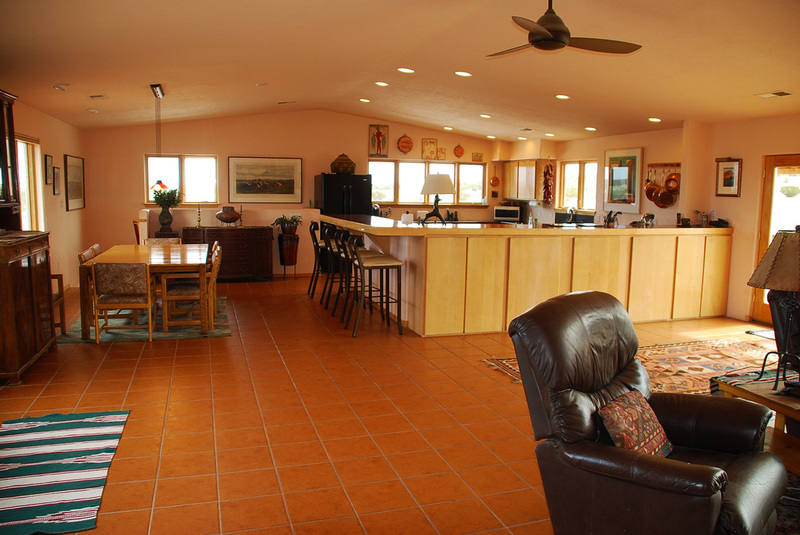 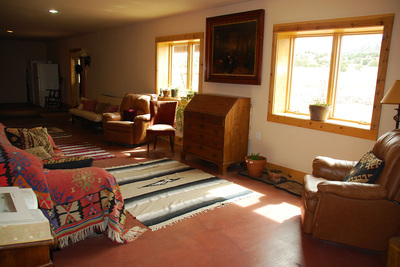 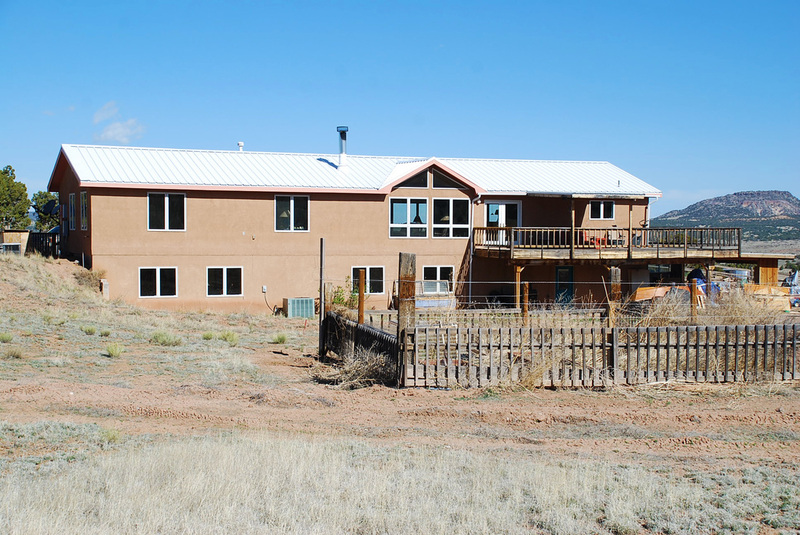 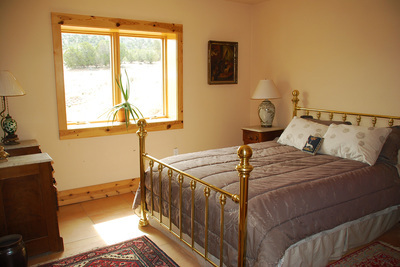 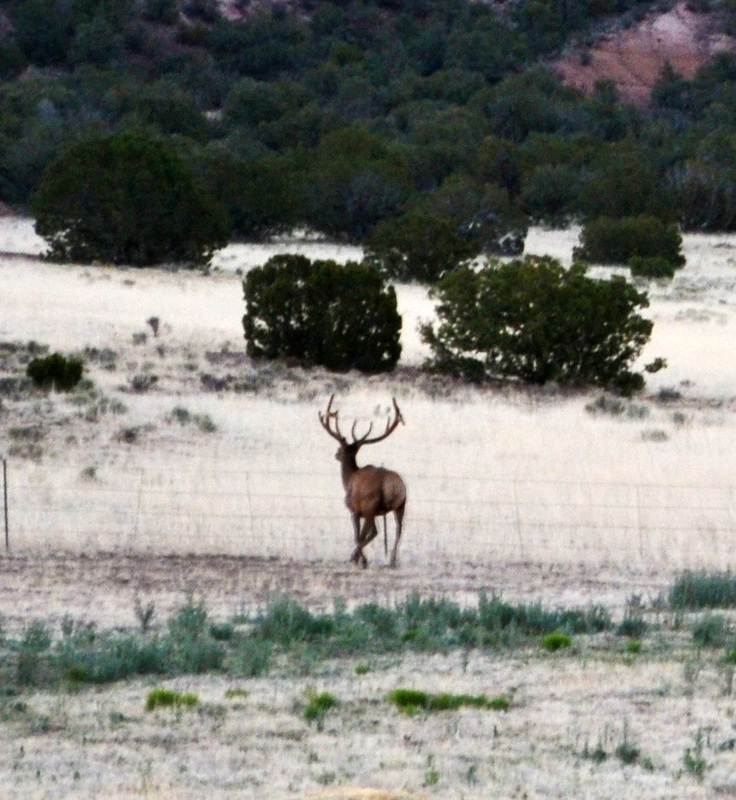 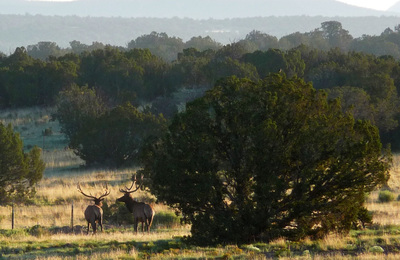 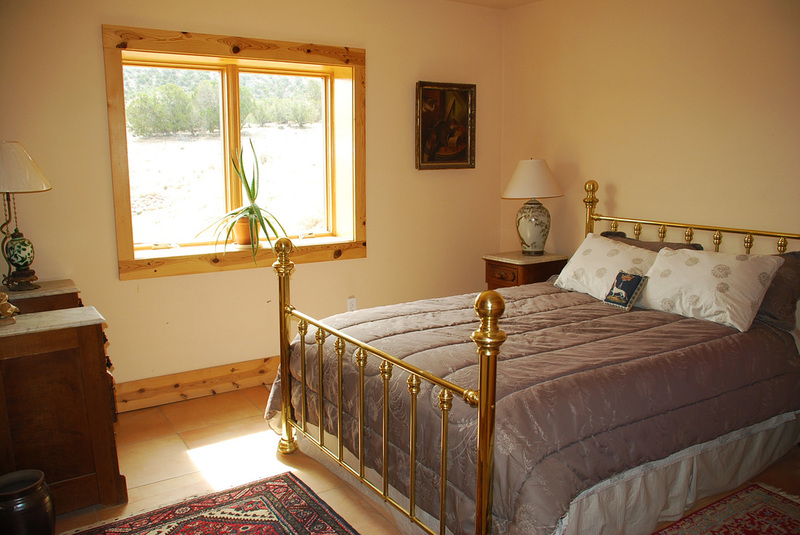 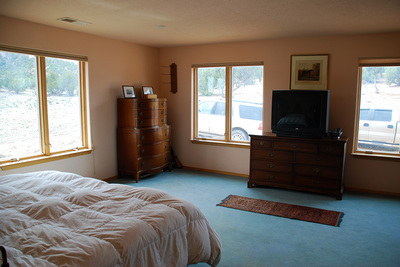 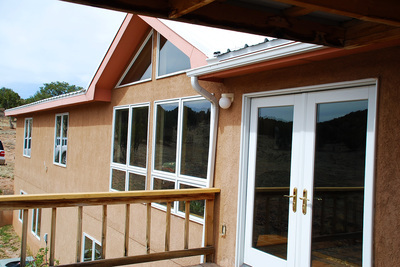 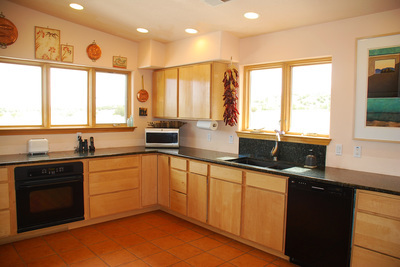 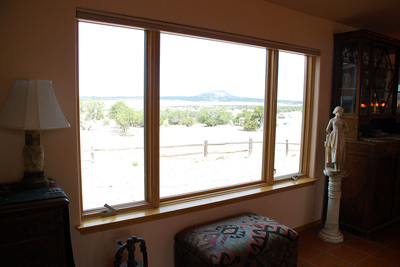 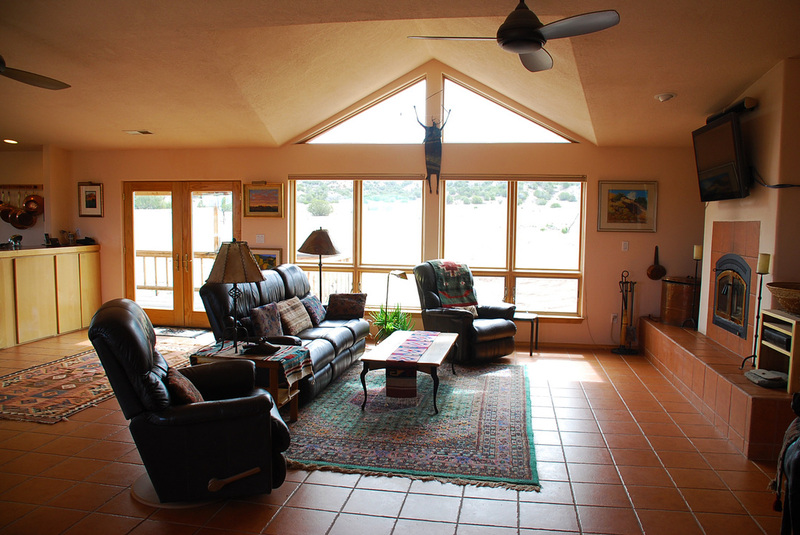 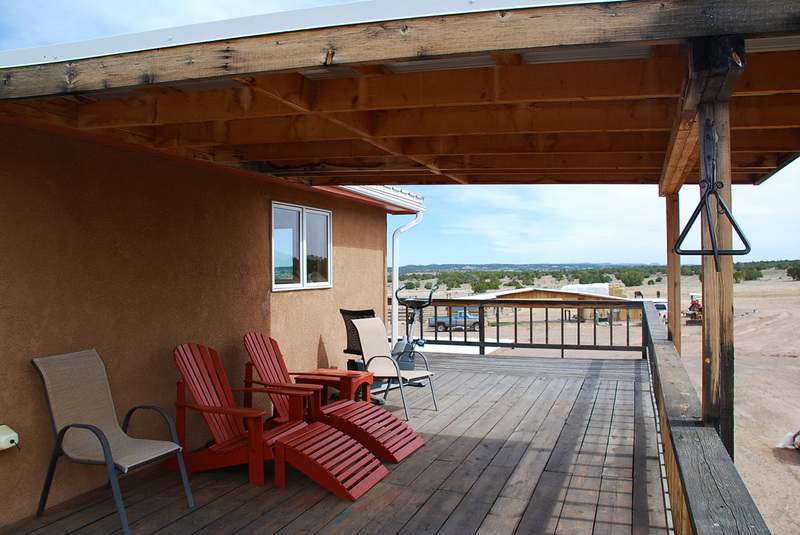 There are large windows on all sides which offer amazing views across the ranch. 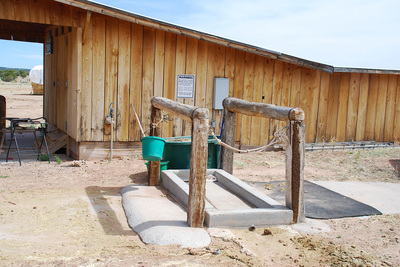 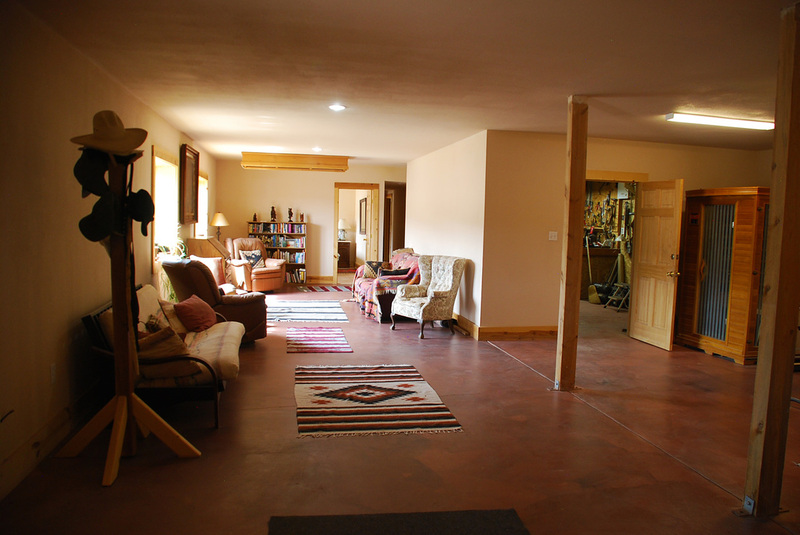 A staircase leads down to the ground level which also accesses from the yard for those who are handicapped. 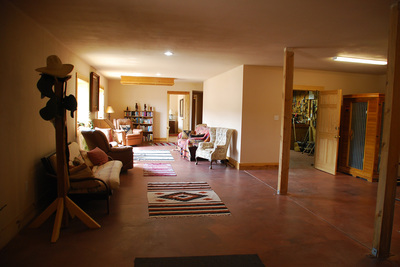 The entrance to main the main floor is from a carport through a cosy wood paneled sun room. 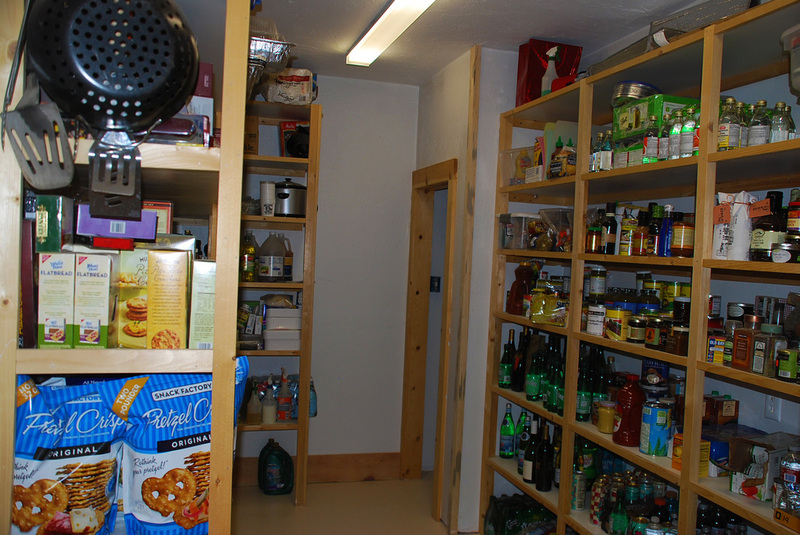 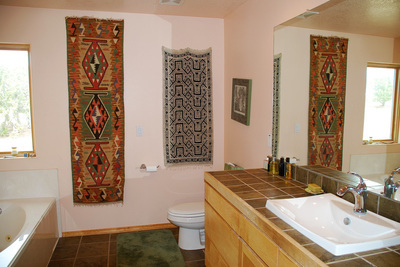 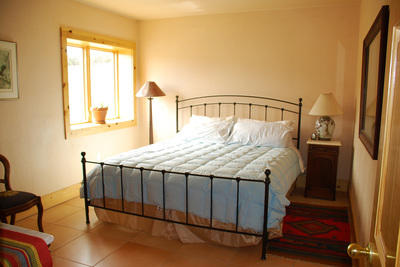 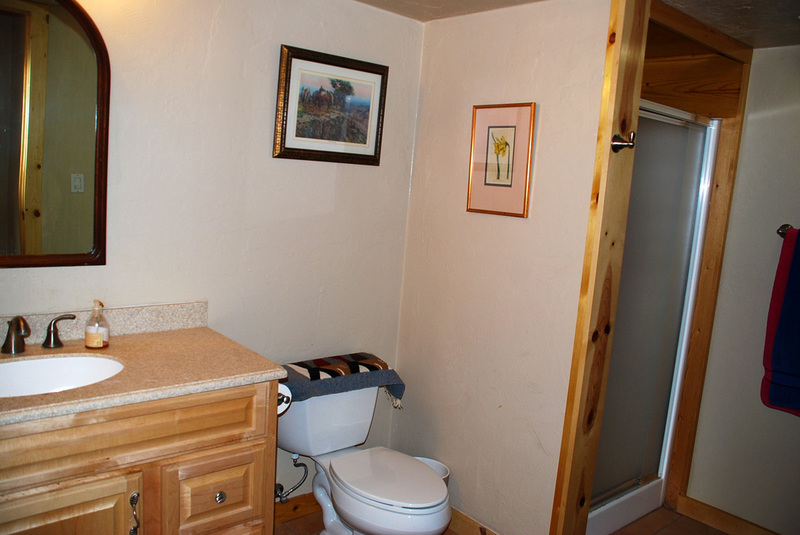 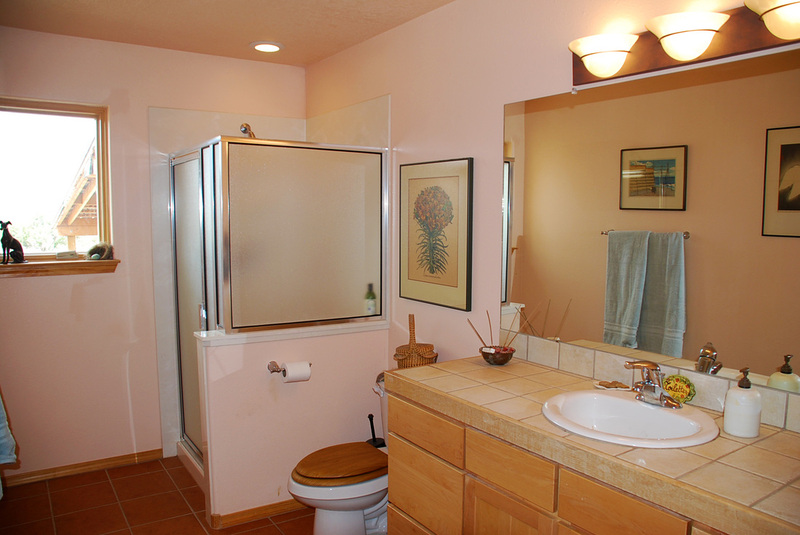 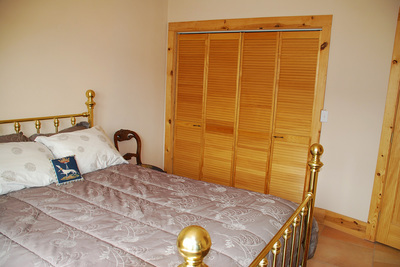 The basement 2 bedroom apartment has a bathroom and with its own separate entrance, and it is ideal as in-laws quarters or to rent out to vacationing guests such as Airbnb. 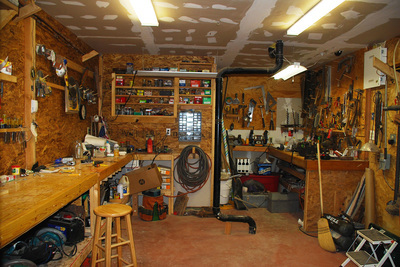 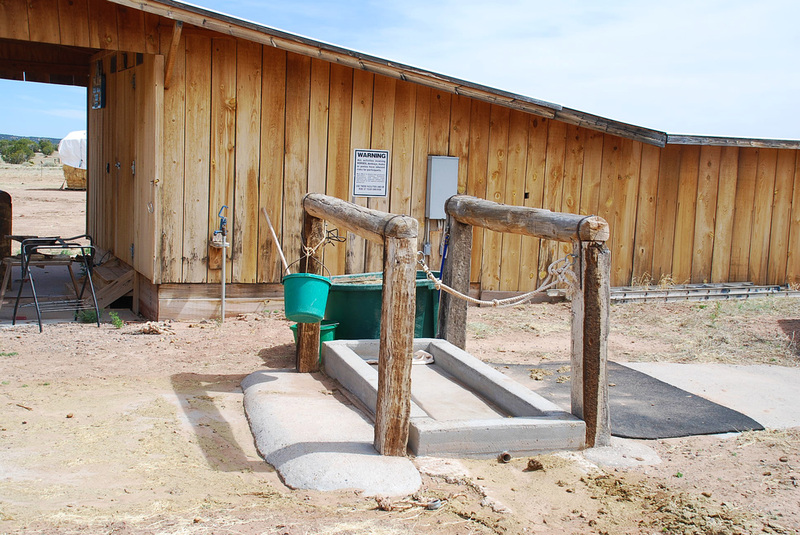 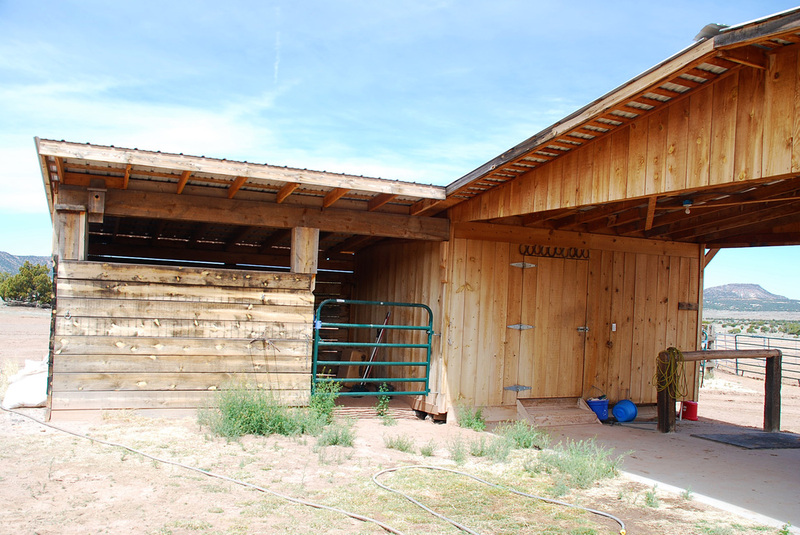 The equestrian improvements feature a very nice horse barn with 12x16 tack and saddle rooms, round pens, corrals. 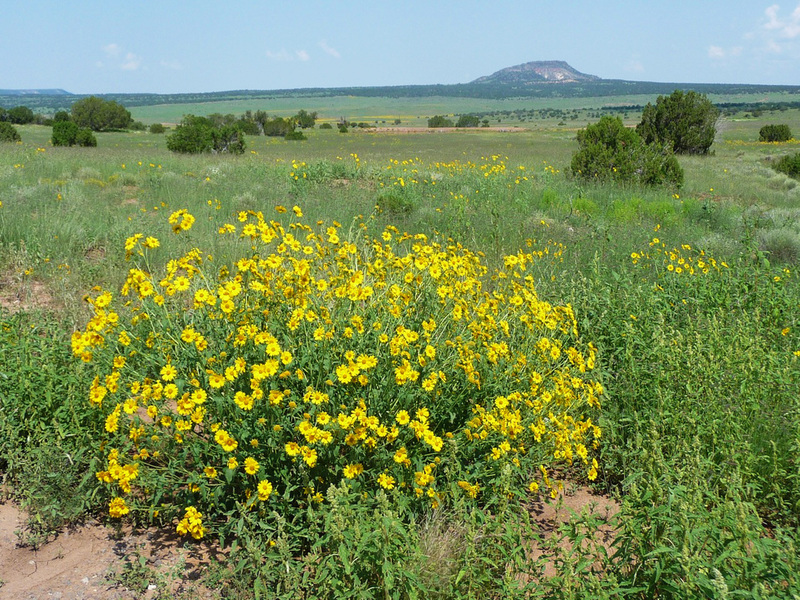 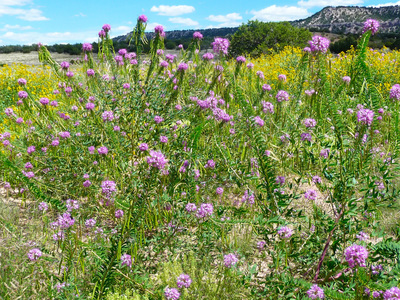 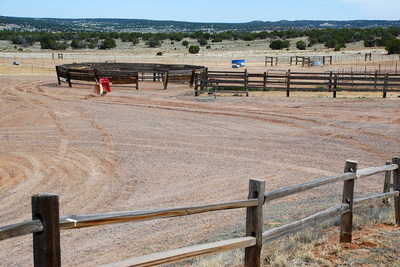 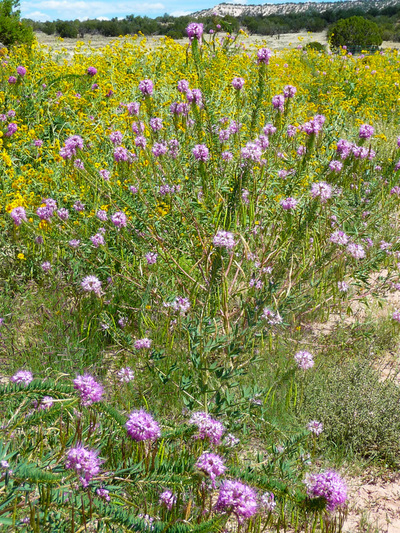 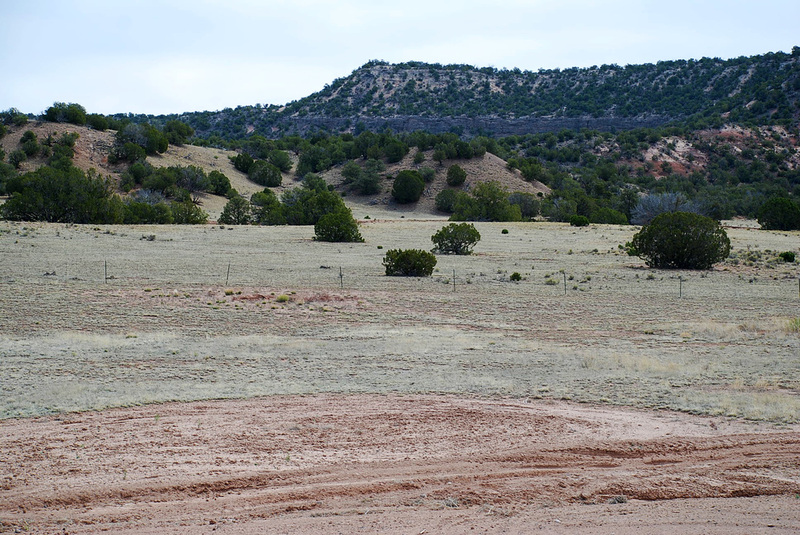 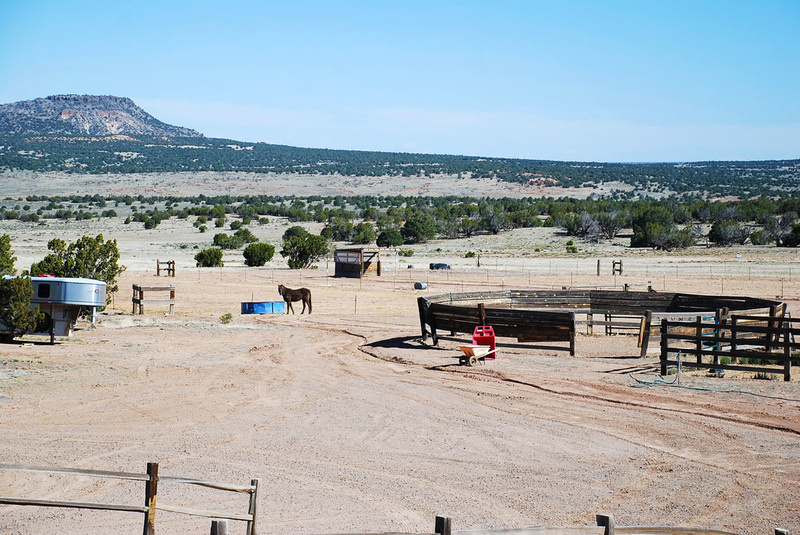 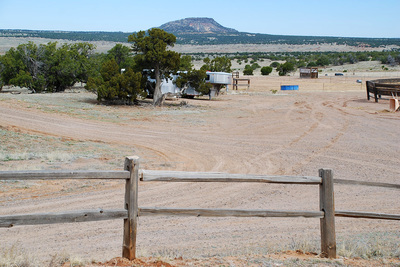 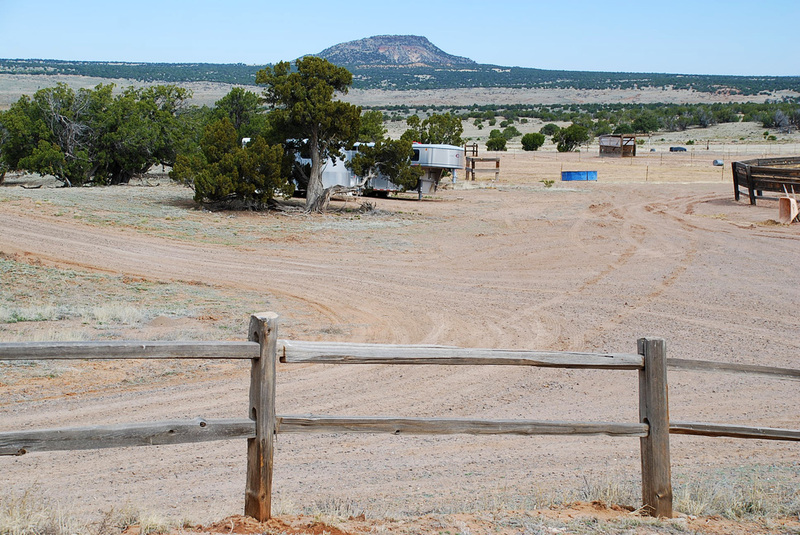 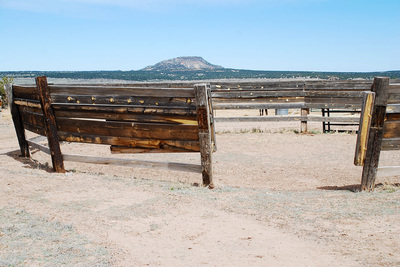 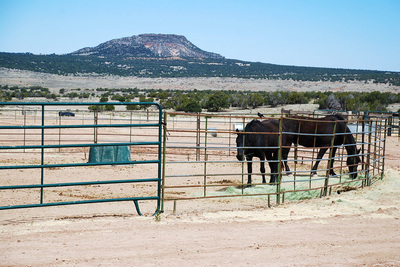 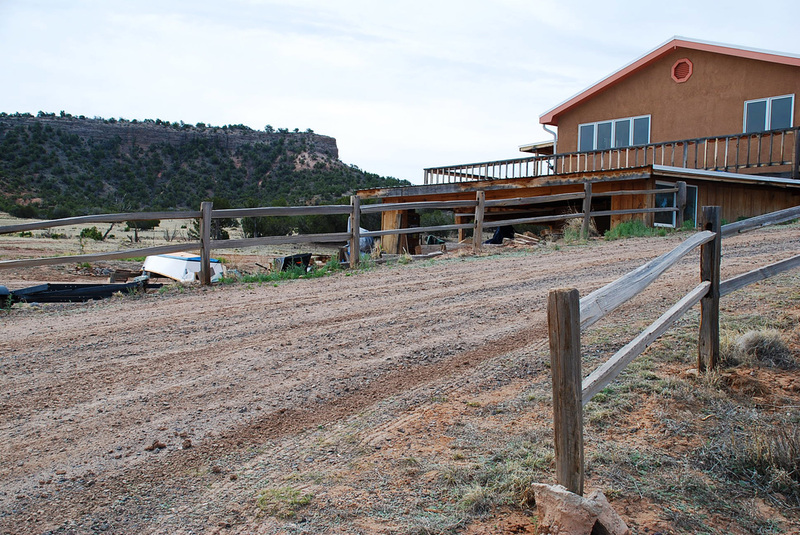 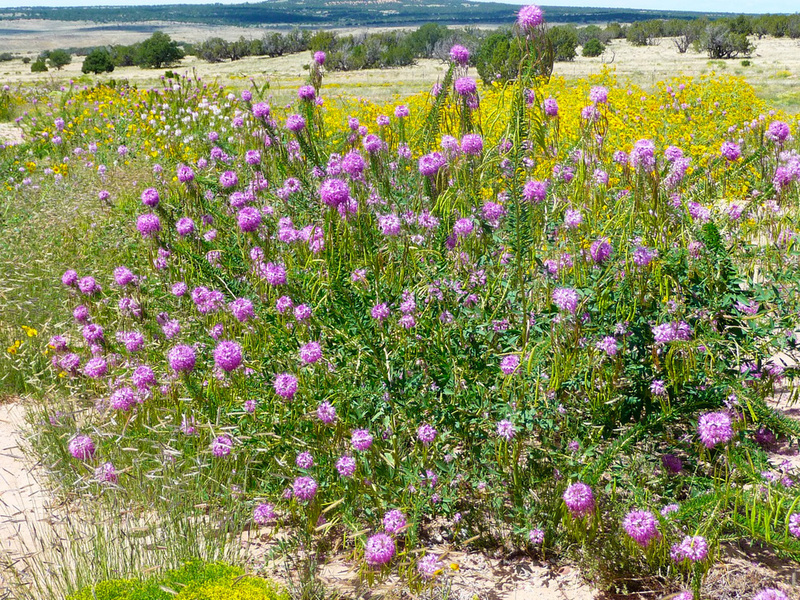 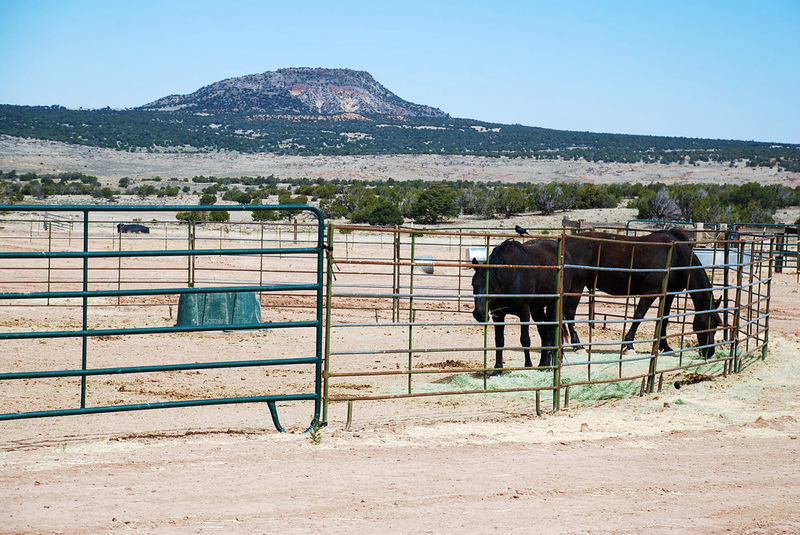 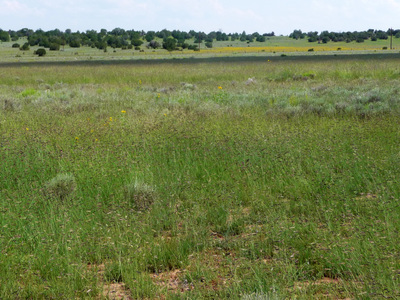 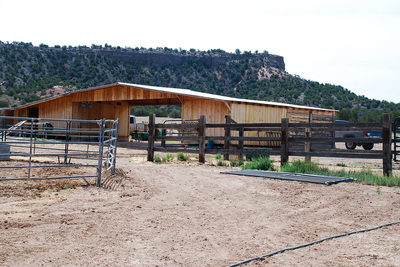 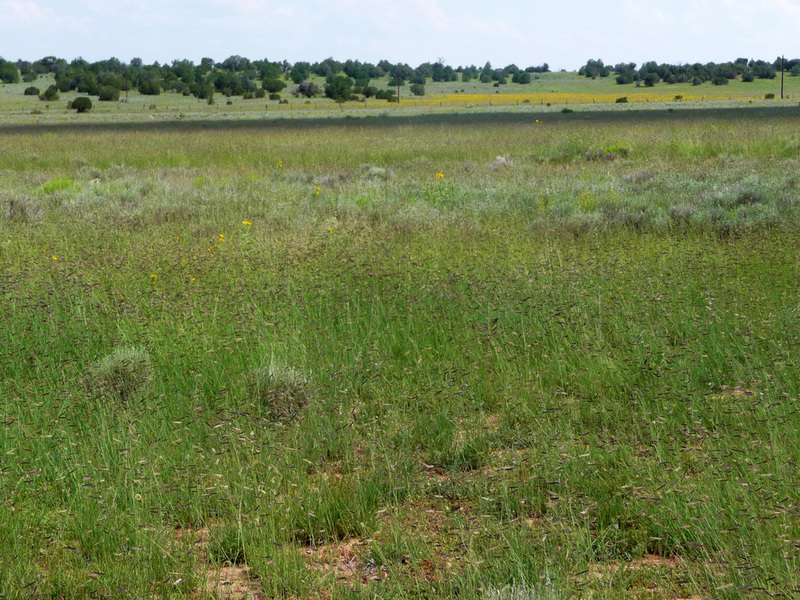 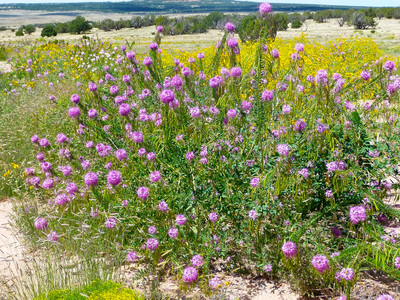 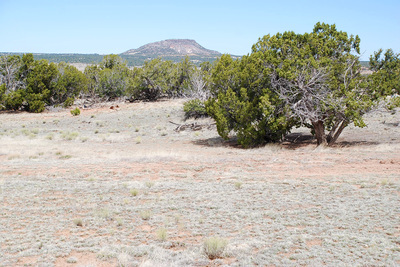 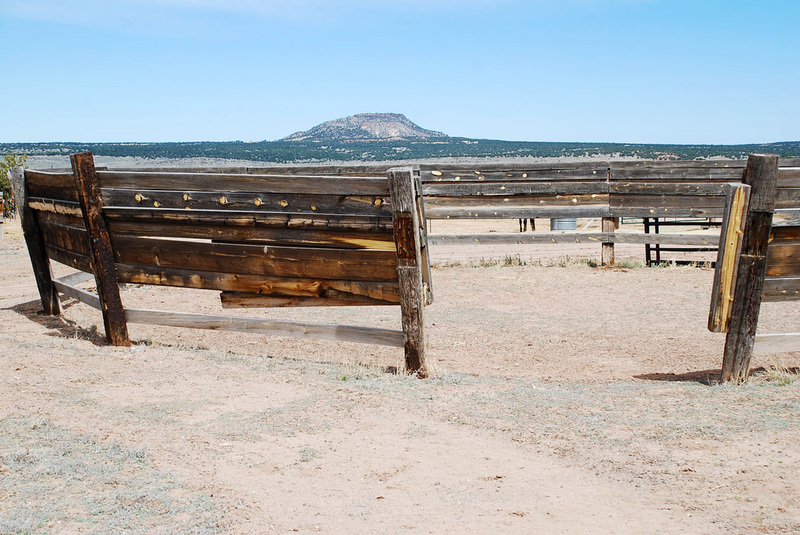 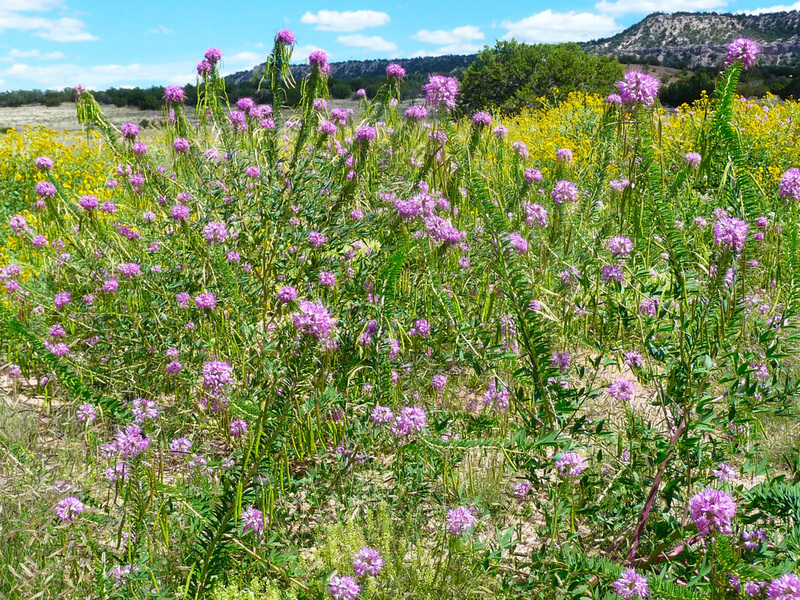 This ranch is fenced and cross-fenced and an ideal base for trail riding as well as to pasture your livestock. 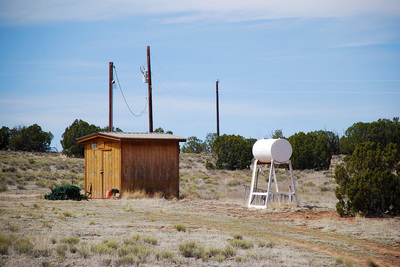 House, barn and wells are wired to a large automatic propane generator so there is no loss of comfort in the event of a loss of power.